It is said that Jane Bown, a photographer who worked using available light, was able to exactly judge the light level just by looking at how it fell on the back of her hand. I would like to believe that I can do this, but I cannot. What I can do, fairly accurately, is recognise regional light. A skill which might come in handy if sometime I happen to be abducted, and then transported to a distant location. I can spot the sandy red light of the Eastern Mediterranean, the fog filtered light in San Francisco, aqueous Welsh light, the tangerine violet of an Ontario winter, and always, without fail, I can identify the haunting quality of light that you get in the Pacific North West. 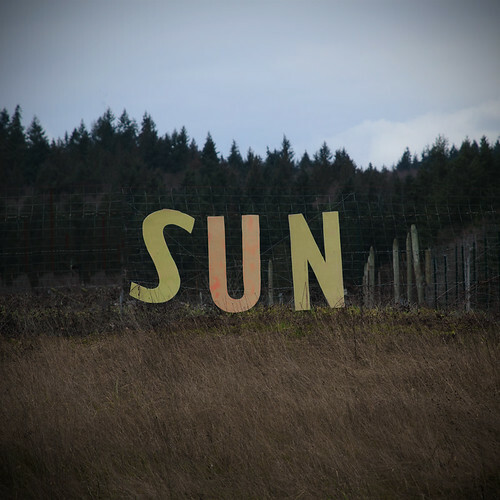 If you’ve spent much time in the PNW you’ll know that sometimes you do crave bright sunshine. That is obviously why the image of this SUN warmed my spirits.